Google Analytics is a free web analytics tool that gives you rich insights into your website traffic. 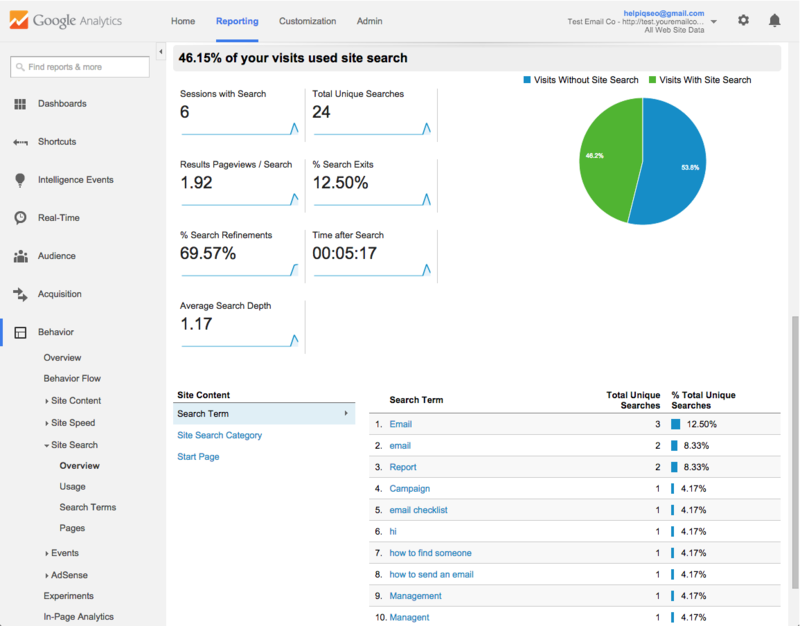 It's powerful and easy-to-use features, let you see and analyze your traffic data in an insightful way. You can integrate your ProProfs site with Google Analytics to gain insight into what your visitors are doing. ProProfs also includes ready to use powerful reports. You can look-up the exact keywords that customers are using to find information in your knowledge base. This helps you write help articles that customers are desperately looking for and avoid obscure topics that they don't really care about. Along with site search terms, you can track the knowledge base pages that are most viewed by customers. You can use this data to display a list of popular articles on your FAQ’s homepage to and offer other users quick access to important information. You can also find out where users go after landing on a page. This is called a behavior flow report, that shows the path users take through your knowledge base. It’s a key metric that helps you identify those black sheep solutions that lead users astray, and what must be done to improve the UX of your knowledge base. The first step is to log into Google Analytics at http://www.google.com/analytics/. The main settings page will appear which may list accounts that you have already added in the past. Click Settings at the top. In the first column is the Accounts section. Click on the dropdown and then select Create new account. Enter in an Account Name and Website Name to identify your site. Enter the Website URL of your site (such as mycompany.helpdocsonline.com) or your custom domain (such as help.mycompany.com). Make sure to select http:// from the drop-down menu in front of the text box. Optionally select your industry and reporting time zone. Select your country and time zone. Click Get Tracking ID to generate the tracking code. A new screen will appear. Locate the Tracking ID and copy the code that looks like UA-xxxxxxx-x or write it down. Please ignore all the tracking code Google provides. All we need is your UA-xxxxxxx-x number. We handle the rest of the code. Log in to your account (as an administrator), and click Settings > Configure & Brand. Select the site you want to install Google Analytics for. Locate the section titled Google Analytics and paste your UA-xxxxxxx-x code. After 24 hours or so, go back to http://www.google.com/analytics/ to check that you have successfully set up Google Analytics. Next to your site’s URL, Google Analytics will show it is either Receiving Data (you were successful) or Tracking Not Installed (something is wrong). If it says Tracking Not Installed, click Check Status. Google then checks your site for the Analytics Code and reports back whether it finds it or not. If not, try re-pasting your UA-xxxxxxx-x code into ProProfs and checking the status again. It can take up to 24 hours for Google Analytics to start receiving data. If after 24 hours it is still not working, contact our support department at support@ProProfs.com. Read this Google Article to find out why it takes so long. If at any time you need to find your tracking code, you can access it from the administration settings screen in Google Analytics. Look for a link labeled Property Settings. Then look for the Tracking ID that looks like UA-xxxxxxx-x. Your ProProfs site comes with a robust search feature that instantly makes are you content searchable by your visitors. However, do you want to know what your end users are searching for and what pages they are clicking on? By connecting Google Analytics to your ProProfs account you can take advantage of the Site Search reports. A search box is a goldmine of information because each time users search, they tell you in their own words exactly what they are looking for. After you setup and install Google Analytics as defined above you will need to activate Site Search as it's not enabled by default. On the top menu select Settings. Make sure the site you add is selected. Then click View Settings. 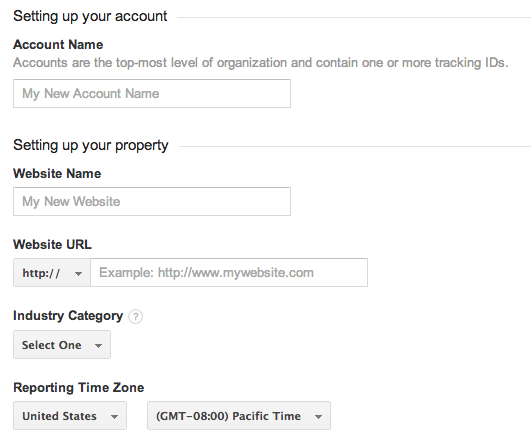 It may take up to 48 hours for data to appear in your reports once you have configured Site Search. Looking at where people search can give you insight into how they use your site. Are they searching from the home page, or do they go deeper into the site before searching? Do they search from search results pages, immediately following one search with another? From any given page, what do they search for? To access the reporting on the top menu select Reporting . Then on the left-side menu select Behavior > Site Search. Go to Site Search > Pages to identify the pages from which users started searching. Click one of the pages in the table to see the search phrases used from that page. Now there are two columns: Search Term and Exit page. The Search Term is what your users searched for. The Exit Page is what the user clicked on after performing a search. If you see /?search=term this means they performed another search while still on your ProProfs search results page. Select the site you want to remove Google Analytics for. Locate the section titled Google Analytics and delete your UA-xxxxxxx-x code.